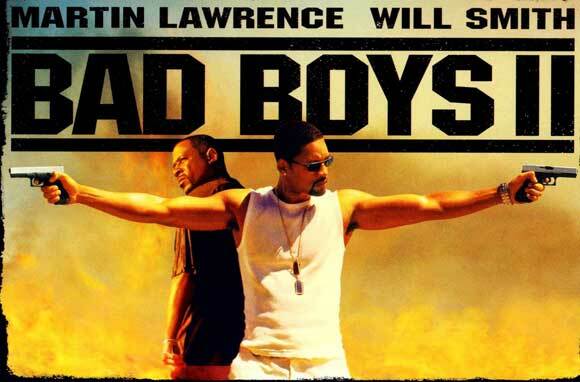 Will Smith and Martin Lawrence are back as Mike Lowry and Marcus Burnett – almost a decade after the first film. This time, it’s not heroin, but ecstasy and add in to the mix, Marcus’s hot sister, Syd (Gabrielle Union) who is undercover in the whole operation. It’s a pretty tedious film, I found. Yes, there were explosions and shoot ‘em up stuff, but the story wasn’t strong enough and the characters had lost their appeal from the first film. The only things that really got me through it were the bad guys – my favourite Peter Stormare and Michael Shannon who, prior to Boardwalk Empire, I did not know. Now, he’s one of my favourites, especially when he is playing a himbo-type character like this one.